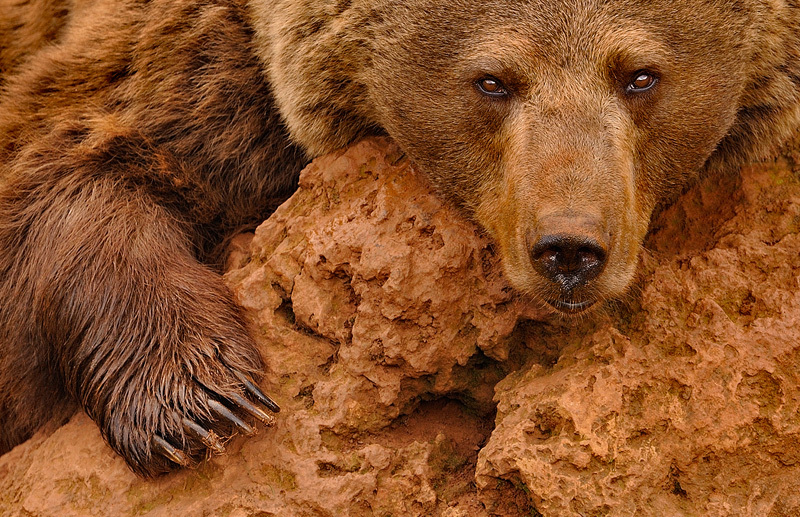 This intimate portrait of a brown bear (Ursos arctos) was shot in a nature reserve in Spain. I sometimes force myself to shoot with my 600mm lens in situations where you would normally choose less focal length, because it forces me to work with very tight compositions and I may end up with material that I would otherwise never have thought about. This shot was taken late afternoon. One of the larger bears was resting his head on a large rock, and I simply couldn't resist the pose. This wildlife park used to be a large iron mine, which explains this reddish color.